Western Whiskey Gazette (WWG): A Horse (actually a Bear) of a different color. Last year we posted four articles on Braunschweiger & Co. One of the articles pictured most of their known picture variants, along with a few others. 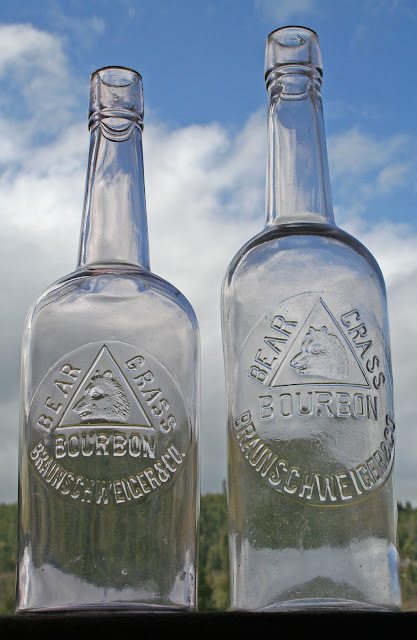 I never paid a lot of attention to the Bear Grass Bourbon variants, although they are a nice bottle. To me, most of the clear Bear Grass pictures look pretty much alike, although with a couple of minor modifications. I guess I should start to pay a little closer attention! Sometime the obvious isn't so... uh, obvious. That is, until you get a chance to do a sideby side comparison. A couple of weeks ago I picked up a number of better whiskies, one of which was a Bear Grass toolie without the S.F. on it. I didn't pay much attention to anything but condition due to time constraints but today, while looking them over, I noticed that one of the bottles in the box was close to the same height as the J. Gundlach glop pint next to it. Huh, I didn't spot that before. And so, I put it up on the light shelf alongside another Bear Grass. Not even close to double vision. Wow, what a difference. First and foremost, it's short and stocky. Almost, but not quite, a short squat (about half way between a fifth and a sixth). 10 7/8" tall and 3 1/8" in diameter it's an oddball to be sure. And the variant without the "S.F." in the book #76 is listed only with a glop top. 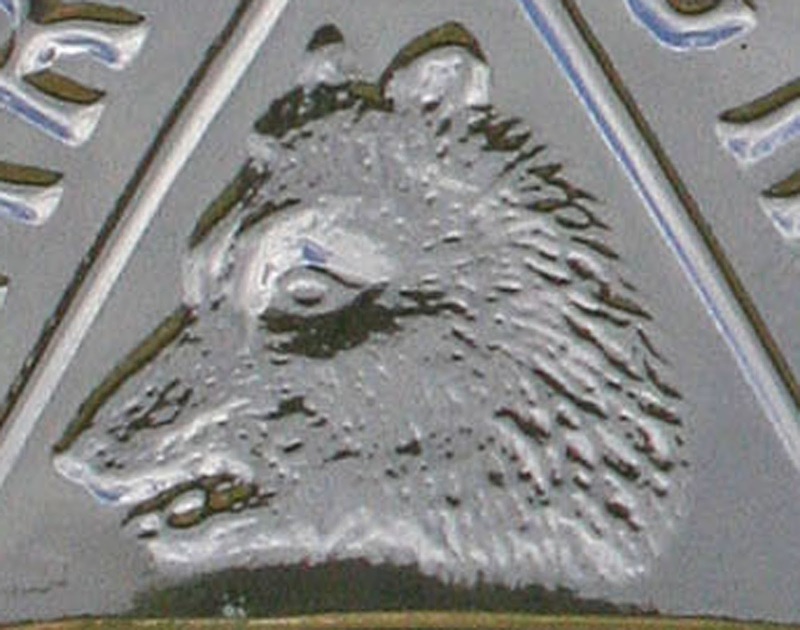 Second thing I noticed is that the embossing is in a circle instead of a large oval. 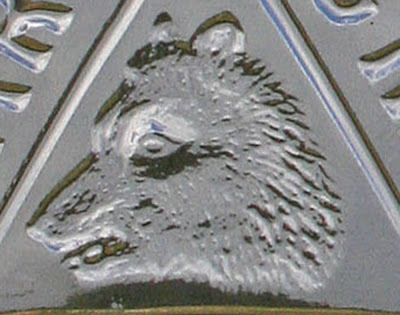 Last and not least is the attitude of the bear; he's ticked off. We've always joked that the Bear Grass bear looks more like a pig; a happy pig at that. No smile on this variant though; eye's squinted and ears back. And lots of teeth. I wonder, how many of these are lurking out there in collections. At this time, I can only account for maybe a half dozen. Comments? As of this AM, a total of three of these squatty variants are accounted for. One in Northern Cal., one in the S.F. North Bay and this one. Any more?